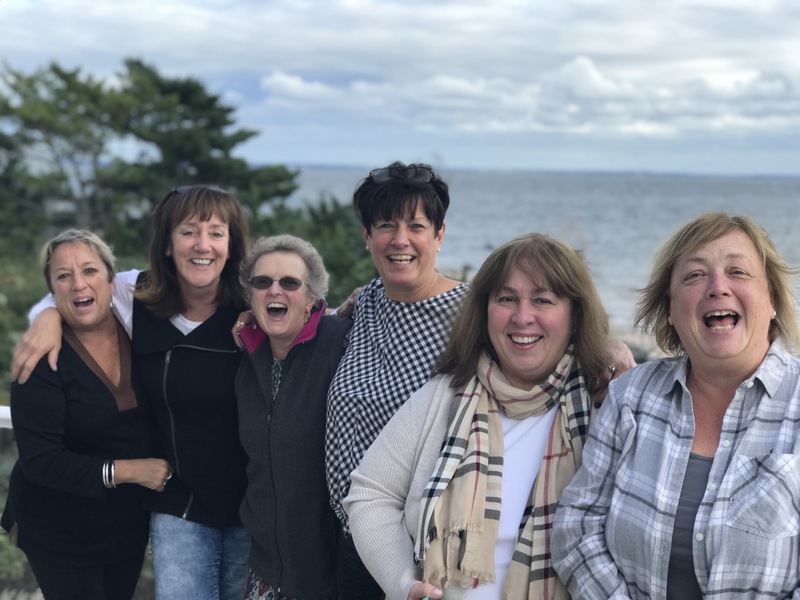 Mrs. Horne’s sister Paula and 5 of her girlfriends came to visit this weekend to celebrate her birthday on Buzzards Bay. Many of them had never been to Martha’s Vineyard so we were planning on taking them to Edgartown on Saturday. Unfortunately, it was another one of those weekends with a rainy Saturday! Sunday looked like it would be a much nicer day so I suggested we plan on leaving early and go to The Black Dog Tavern for breakfast. 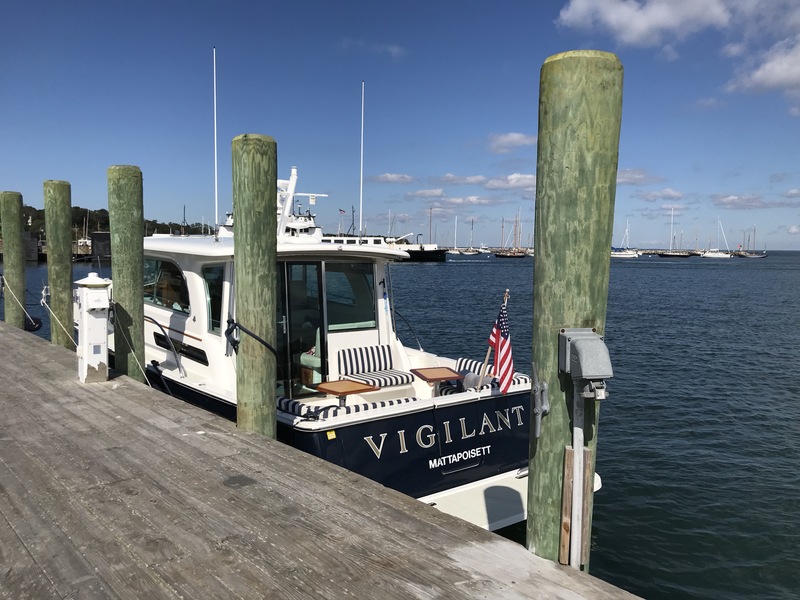 It was 46 degrees when I went to bring Vigilant into the MBY dock on Sunday morning. I fired up Vigilant’s heaters and was toasty in no time. Of course the girls were all dressed for winter so I had to immediately shut off the heat and open the windows as soon as we got under way. 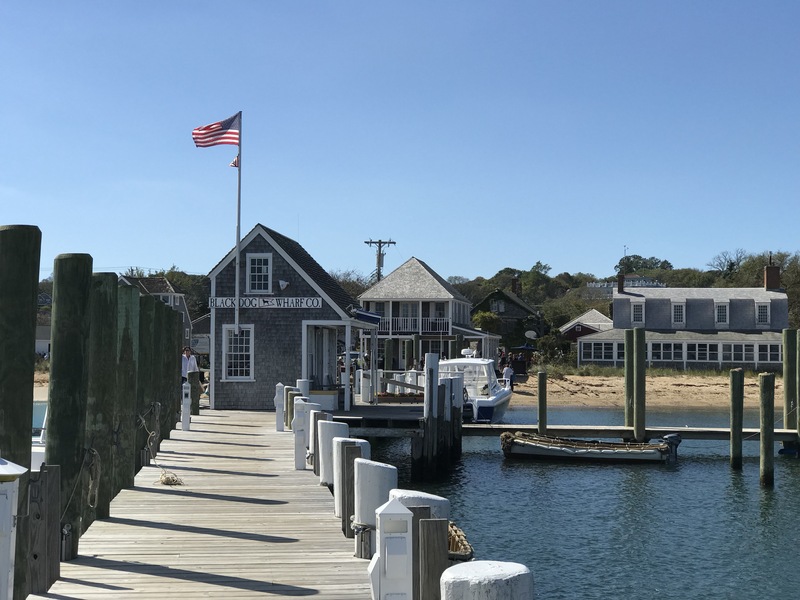 The 20 mile run to Vineyard Haven took less than an hour. The girls all sat outside side and took in the crisp October morning grooving to the Donovan Channel on Pandora. Mrs. Horne handled the difficult docking procedure with speed and grace. In case you forgot, The Black Dog Wharf is a very traditional old pier that requires a special procedure. As we walked up to The Black Dog, our hearts sunk as we learned they were closed for a morning for a private wedding brunch. I told the girls to go shopping while I scouted out an alternative dining venue. I found the Waterside Market for breakfast, but I knew Mrs. Horne wasn’t really into breakfast so I called the girls and gave them the choices. Mrs. Horne decided we’d go to the Copper Wok for lunch while the girls would go to the Waterside Market for breakfast. We’ve lunched at the Copper Wok several times. I love their Sushi and Hot and Sour Soup (just ask for the noodles on the side). 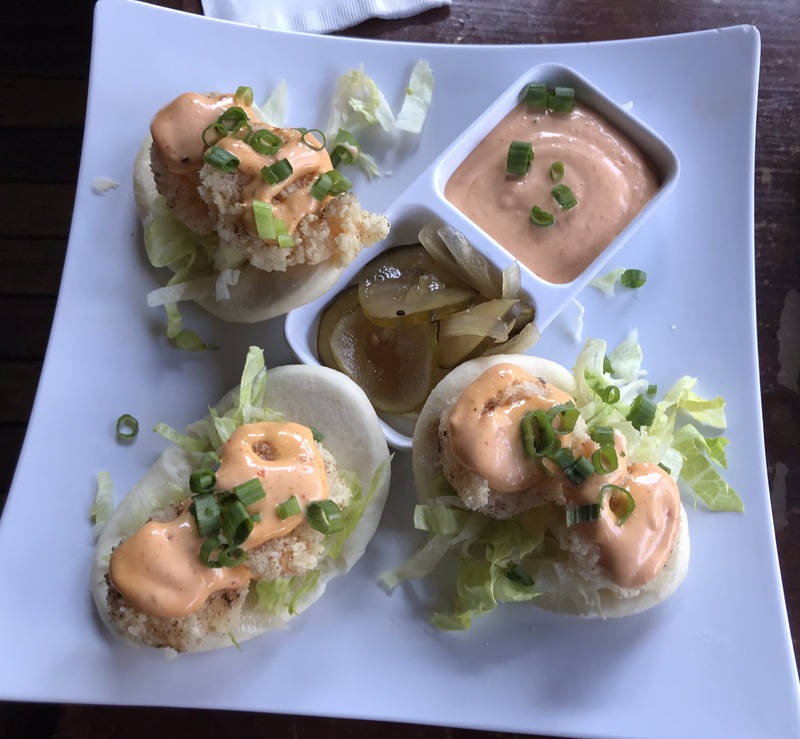 Yesterday we started with Edamame and then split a few dishes. All three were excellent. The Po Boy had two perfectly fried shrimp and a very nice spicy aoili. It also had Ba Minh style pickles. 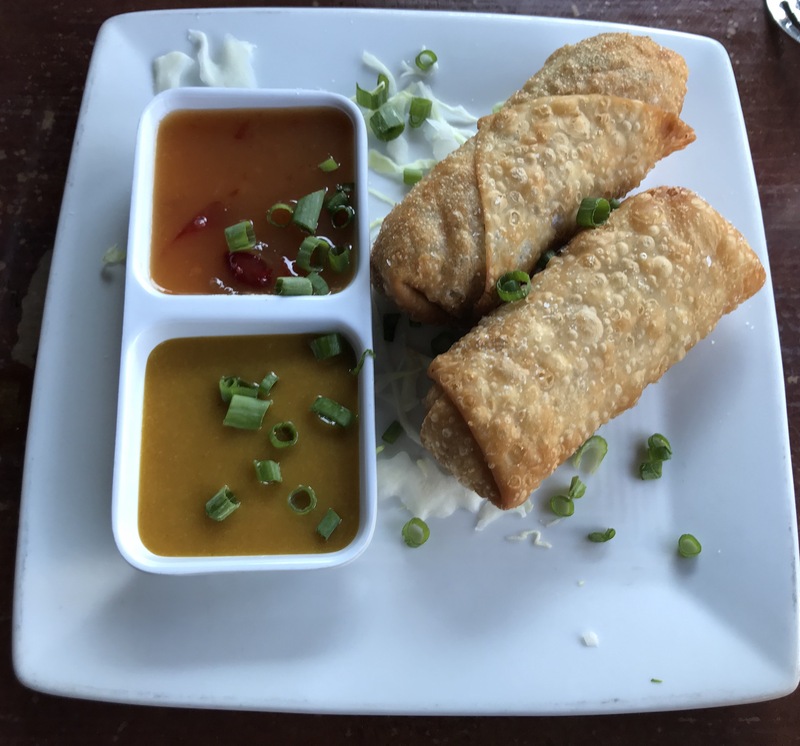 The Egg Rolls were fairly traditional except for the hot sauce which was unique in that it wasn’t mustard based. I’d guess it was chili or wasabi bringing on the heat. 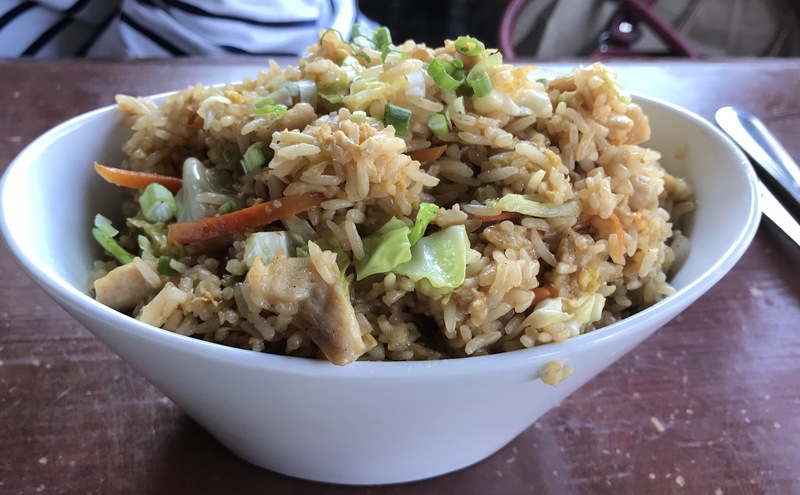 The rice was full of chicken and veggies. It was more of the lighter West Coast style I like made with light soy rather than the dark soy wetter style you find so often on the East Coast. It would have been nice to enjoy breakfast with the whole gang at The Black Dog, but thankfully the Copper Wok saved the day. The ride home was even smoother than the ride over. 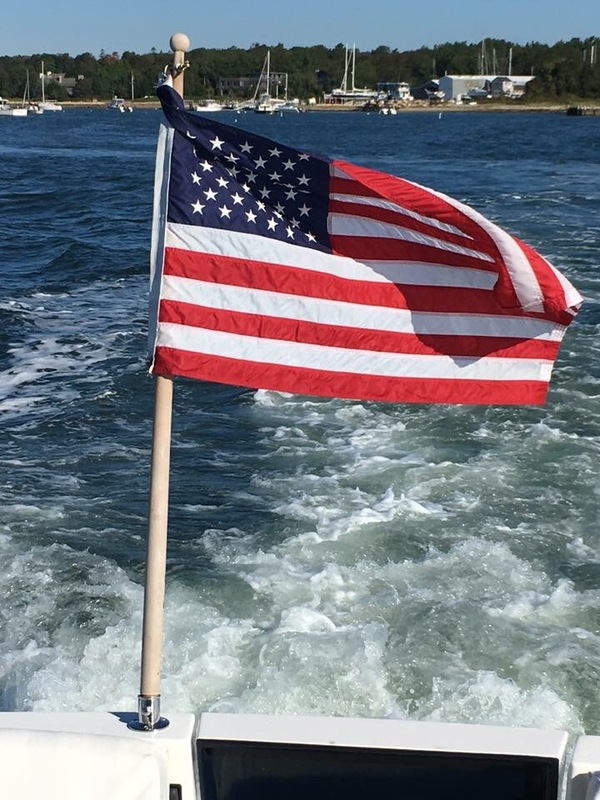 I love October boating on Buzzards Bay. It’s hard believe we’ll be flying to LA for the winter three weeks from today. But we’re not rushing summer out the door just yet. Today we head to Newport Rhode Island for two days with Gail and Rudy. Looks Delicious! Thanks for sharing this. I get more ideas from it. I want to try this.